Blubrry now provides content creators a mobile app that complements and integrates with their WordPress / PowerPress powered site. Blubrry has partnered with Reactor by AppPresser, which specifically creates applications for WordPress-based sites. 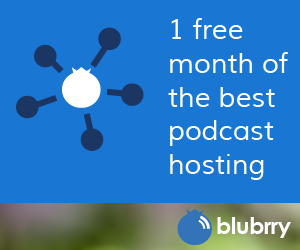 With Reactor and its App Creator, Blubrry / PowerPress podcasters are able to build, design and retain control of their app to highlight / play their podcast content, and provide access to content on their website. “We’re very excited about the opportunity to partner with Reactor to benefit our family of podcasters, Reactor’s tools enable podcasters to create and manage all aspects of their fans’ mobile app experience. Our philosophy has always been to have podcasters maintain control of their brand, content and listener experience.